“Sustainable development involves the simultaneous pursuit of economic prosperity, environmental quality and social equity. Companies aiming for sustainability need to perform not against a single, financial bottom line but against the triple bottom line." Fewer vehicles required for the construction process results in fewer CO2 emissions. 50% reduction on overall energy and a 40% carbon footprint reduction compared to onsite construction projects. Each part of the building and every aspect of its construction involves the client from the start, from consultation and design, to planning and completion. 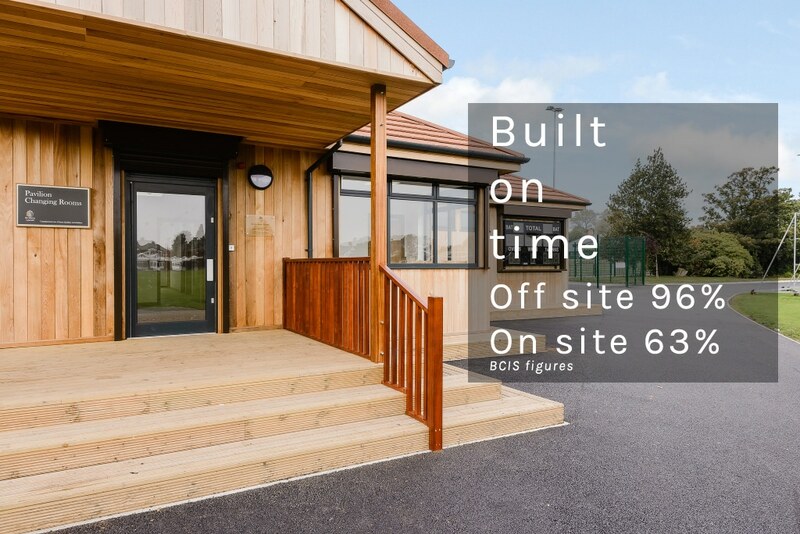 Every component of the construction is designed specifically for the building in question and created using standardised, monitored equipment overseen by expert workers. Buildings which are completed quickly and efficiently can be used sooner. The monitored and standardised factory conditions in which components are produced provides an extremely safe environment, with every aspect of the work space covered by stringent health and safety checks and tests. The sustainability, eco-friendly approach to off site construction with its improved efficiency and safety record all contribute to a more cost effective solution.